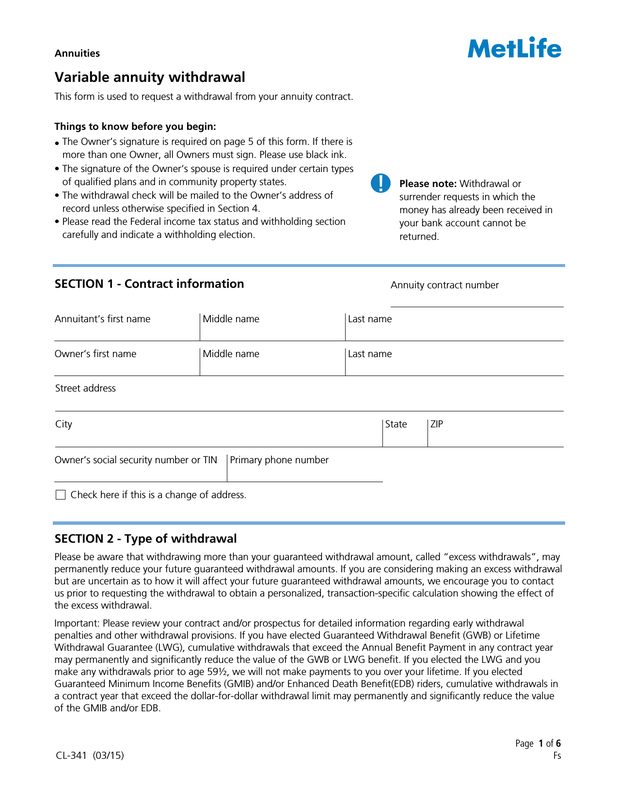 Download the MetLife Variable Annuity Withdrawal Form that will assist the owner of an annuity account withdraw funds. Read all of the information on these forms. 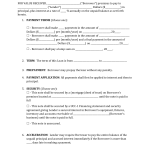 Once you had completed the form, return it to MetLife for review. 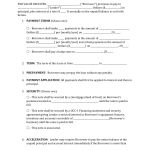 Request that the company process your selected withdrawal by checking the appropriate box on the form. In this section you will provide the sources from which you would like your withdrawal. If there is no source at all indicated, it will be drawn from each account or portfolio in percentages. Check the box below the remarks box, if this withdrawal is to satisfy a Required Minimum Distribution under federal tax law.